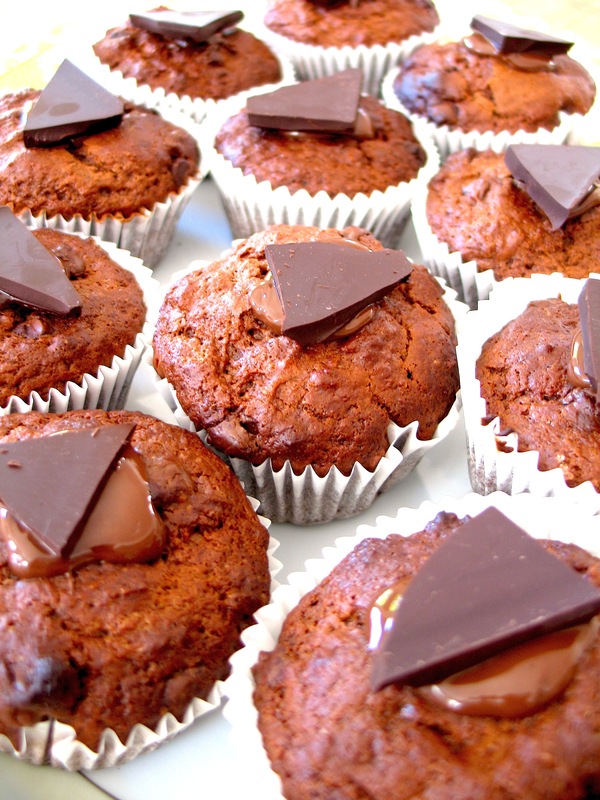 Double chocolate muffins & mini carrot cakes (finally… the recipes!) | Hey Bernice! Sorry for such a long delay… here are the recipes to accompany the previous photos. You may not believe it, but these recipes are from the latest Weight Watchers cook book – so not nearly as naughty as they look! Preheat oven to 200C. Line a muffin tray with paper cases. Sift the flour, soda and cocoa into a large bowl. Stir in the sugar and choc bits and make a well in the centre. In a separate bowl whisk in the oil, egg and yoghurt until combined. Stir into the dry ingredients until juts combined – do not over mix. Spoon mixture into paper cases. Bake for 15-20 minutes or until cooked when tested with a skewer. Stand muffins in the tray for 5 minutes before turning out onto wire rack to cool. At their best when eaten warm. These will freeze if placed in an airtight container. Preheat over to 180C. Line a muffin tray with paper cases. Sift the flour, soda and cinnamon into a large bowl. Stir in the sugar and carrot. Whisk the eggs, milk and oil in a medium bowl until combined. Stir the egg mixture and drained pineapple into the dry ingredients until combined. Spoon mixture into paper cases. Bake for 15-20 minutes or until cooked when tested with a skewer. Stand cupcakes in the tray for 5 minutes before turning out onto wire rack to cool. Meanwhile, make the icing by combining the cream cheese, sugar and lemon juice in a bowl and beat with a wooden spoon until smooth. Toast the coconut in a frypan (without oil or butter) until lightly brown. Spread icing over each cupcake (when cool), and roll the top of the cupcakes in the toasted shaved coconut (it should stick to the icing without much effort). These will freeze if placed in an airtight container. Enjoy without a huge amount of guilt! i absolutely have fun reading your blog. dont stop posting the excellent high quality information! Thanks Armando! They are very kind words… it is lovely to get feedback ’cause you never know if your readers are actually enjoying what you write. I love posting, so no stopping Bernice any time soon.